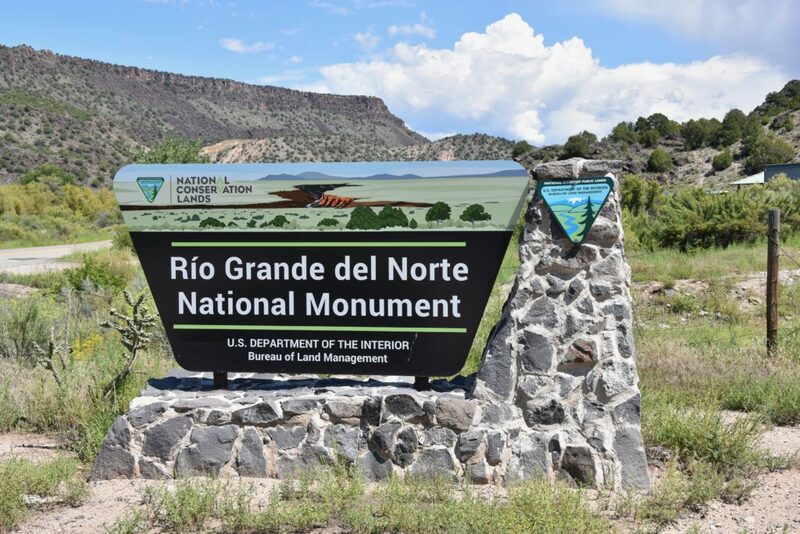 After driving past the Sangre de Cristo Mountains and through Colorado’s oldest town, San Luis, we bumped just over the New Mexico border into Cerro, a tiny town on the edge of the Rio Grande Del Norte National Monument. There was a bar in Cerro that would be a curious place to spend a couple hours on a Saturday evening, but we continued through, excited to get to the Monument. 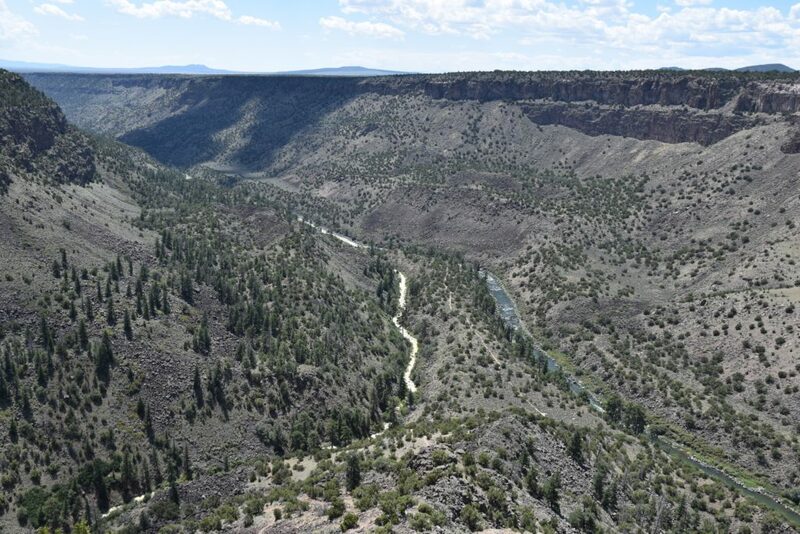 Rio Grande Del Norte National Monument (RGDN) has an odd shaped boundary mostly following the Rio Grande River from the Colorado/New Mexico border, past Taos, and almost to Pilar sixty miles to the south. 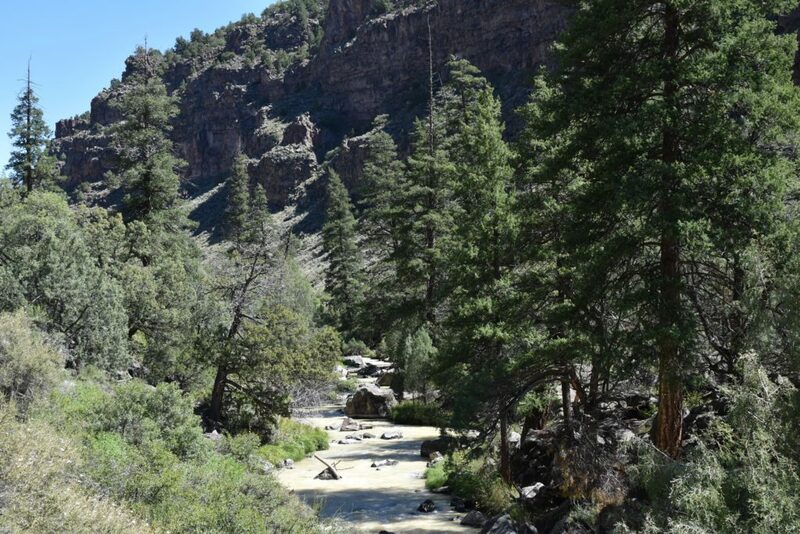 It is a quarter million acres of tough country sagebrush plains and desert canyon rivers sided by volcanic rock. 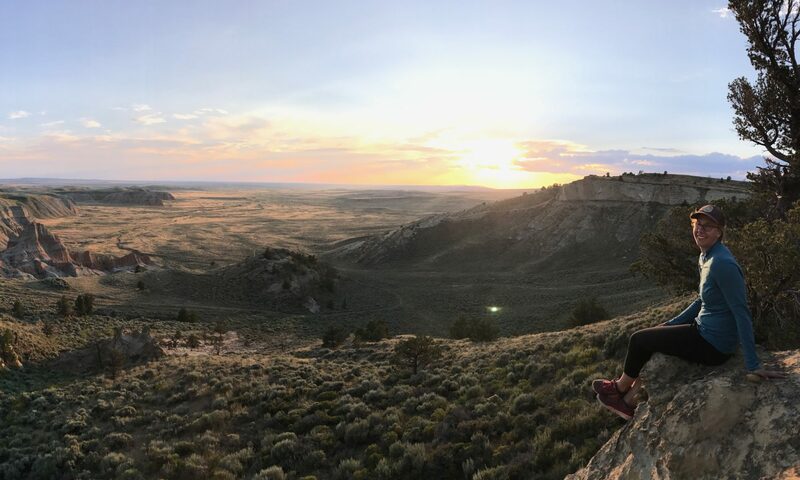 The sage brush plains and mountains provide an important winter home to migrating animals and is part of the Rio Grande Migratory flyway used by eagles, hawks, falcons, herons, Sandhill cranes and others. 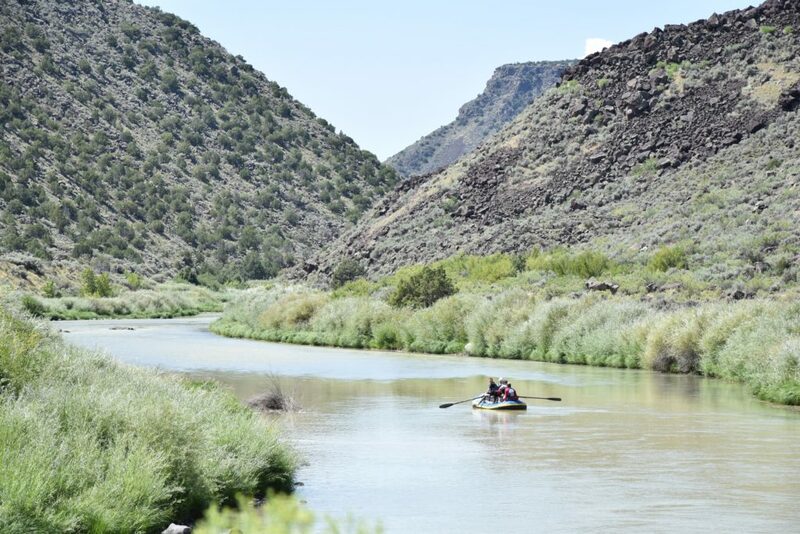 It also runs along the Red and Rio Grande Wild & Scenic Rivers; the Rio Grande was one of the first eight rivers to be designated in 1968. There are a handful of round top mountains including Ute and Cerro de la Olla (Cooking pot mountain). The Monument is fairly new, designated by President Obama in 2013. The Wild Rivers Visitors Center is bright and active and the trails we walked were clear and well built. I don’t know who was on trail crew in this area, but they put some work in! The trail from El Aguaje required a fair amount of concrete to make it level but was a nice quick jaunt down to Red River. 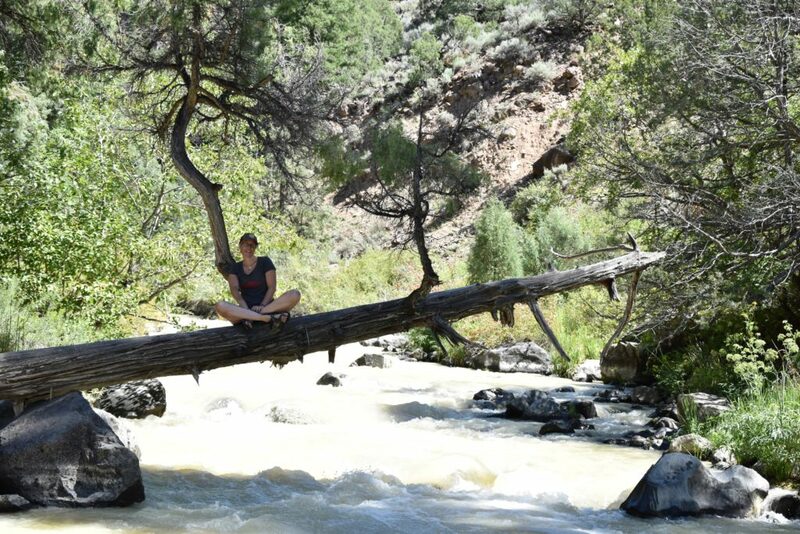 The river was beautiful and a great place for a dip or sitting streamside and pondering life. 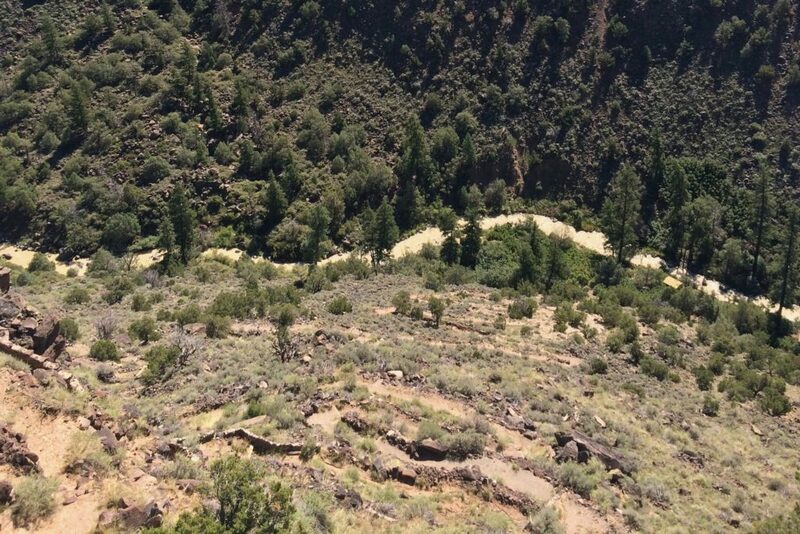 The La Junta trail is another way down into the canyon, but this one leads to the confluence of the Red and Rio Grande Rivers. This trail was even steeper than the El Aguaje, requiring a ladder and metal steeps to help navigate from the canyon rim to the river bed. 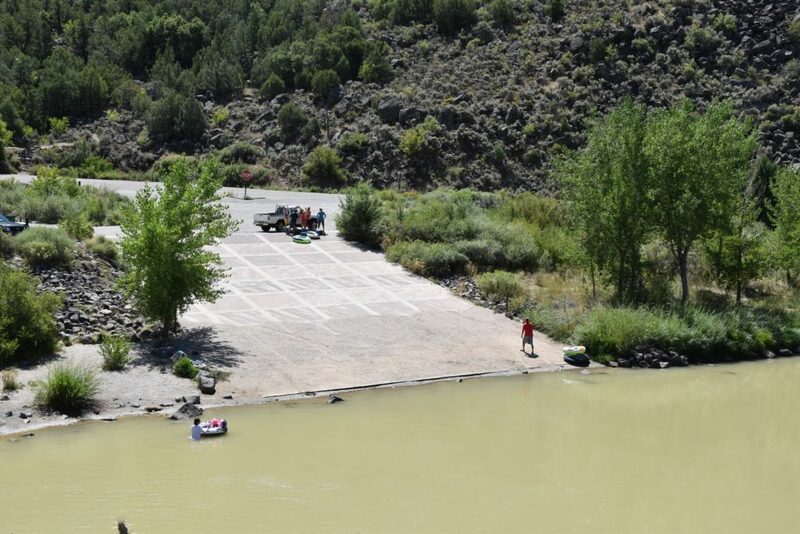 There were even more camping shelters along the Rio Grande. A definite must for a return trip. 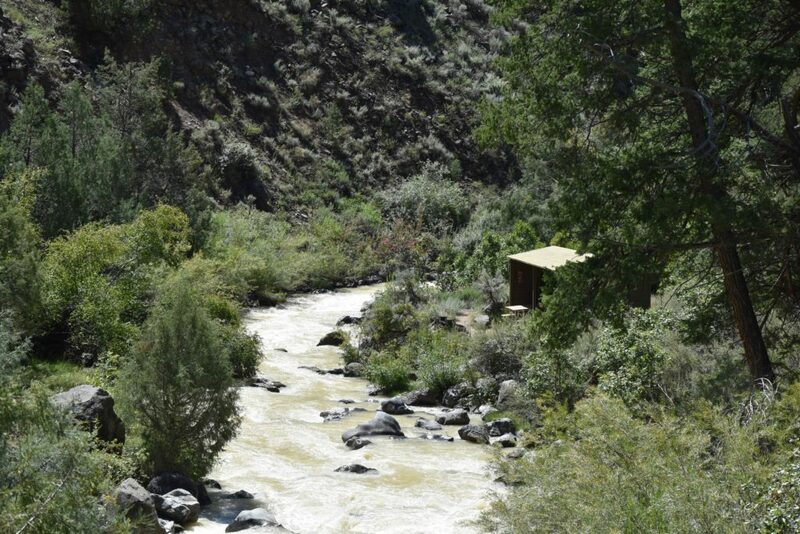 Big Arsenic spring is a refreshing cold-water spring feeding the river not far upstream from the Red/Rio Grande confluence. 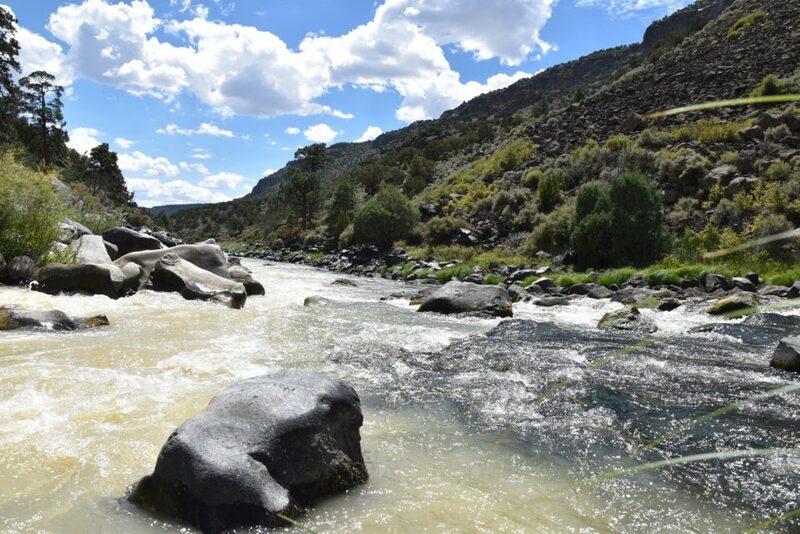 From the Wild Rivers area we headed towards Taos and the John Dunn Bridge. 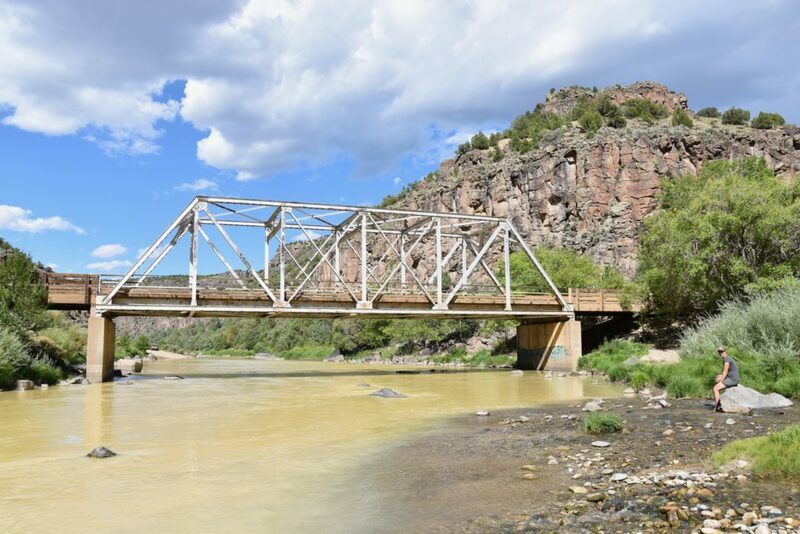 You can easily drive down to the John Dunn Bridge where Rio Hondo meets Rio Grande, making it a popular spot with locals. 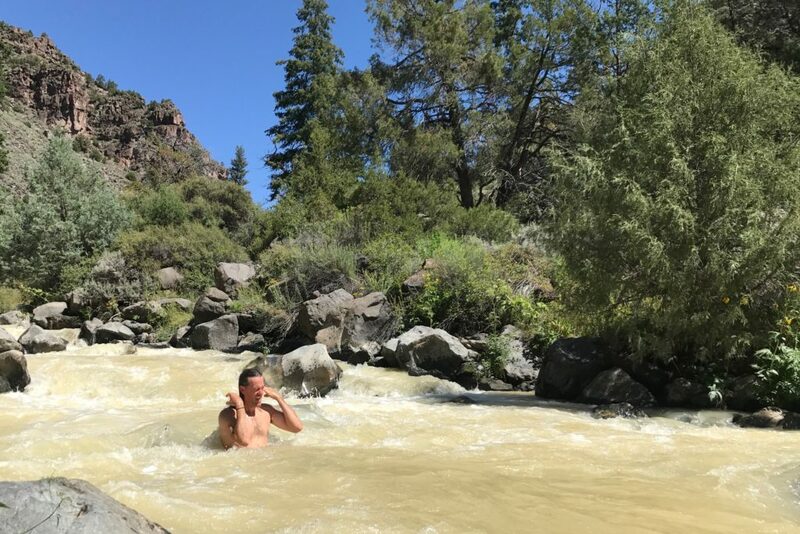 Black Rock Hot Springs is just down river so you can jump back and forth between cool river and hot spring. 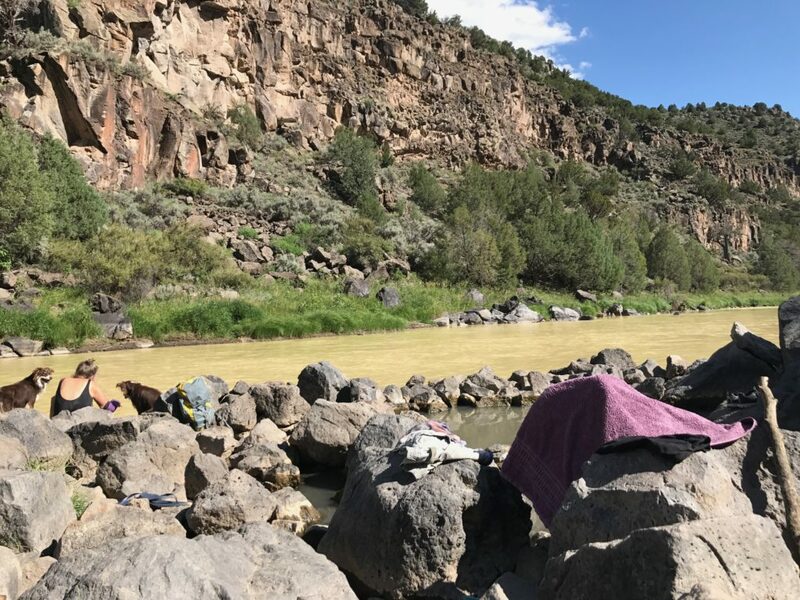 Further down river, near the Taos Junction Bridge and Orilla Verde (green banks), there tons campsites along the Rio Grande and many rafts, kayaks, and inner tubes drifted slowly along the river.